From thoughts, ⇒ to prayers, ⇒ to & songs. And I hope people take the journey with me. This growing angst against thoughts & prayers in the wake of recent gun violence is due to a lack of effort on the part of Congress to pass some sort of common sense gun control law. Certainly, they feel bad for the people in Vegas who were killed or injured when Stephen Paddock unleashed his arsenal on a Country Music festival. But the NRA has given a number of our congresspeople thousands of dollars and Christians in America are more likely to own a gun and be pro-gun than any other segment of the population. So, nothing happens. But thoughts & prayers. Or worse, instead of thoughts & prayers, we allow our fear of the other to cloud our thoughts and prayers. Instead of thinking or praying, we beef up our arsenals and prepare for the worst. If a bad hombre threatens us or our family, we are prepared and can take him out before he does any damage. A couple of years ago, I was pastoring a church in Florida. When Dylann Roof shot up Emanuel African Methodist Episcopal Church in Charleston, one of the elders asked me if I wanted him to start carrying his gun to church in case someone decided to shoot up our congregation (he had a conceal carry permit). I declined the offer, but I get this desire for self-protection. There are bad people in the world and nobody wants to be a victim. Good people carrying guns in church sounds so sensible. Didn’t Jesus say, “If you don’t have a sword, sell your cloak and buy one”? But two swords were enough for the whole lot of twelve disciples and I can’t see Jesus giving his blessing automatic assault weapons with armor piercing rounds. Those who live by the sword perish by the sword. I follow Jesus. He is the Prince of Peace, Mr. Turn-the-Other-Cheek. He overcame the violence of his age by submitting to death on a Roman cross. I think and I pray to be shaped in the image of Christ. I want to be like Jesus. And while I have had few real-world opportunities to practice the non-violence of Jesus, this is the way of the cross. Christ followers who think and pray about the state of the world will be moved to a certain sort of action. Their response to violence will be cruciform. Thinking and praying are formational activities. 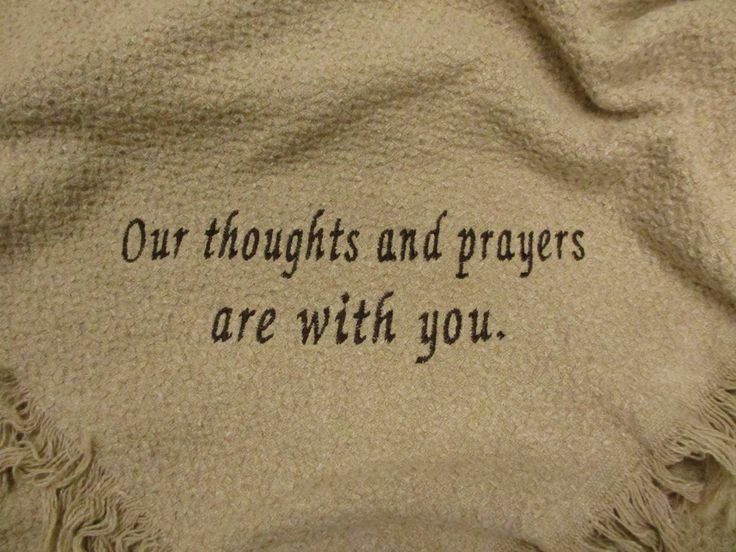 Some liberals and media pundits get hung up on thoughts and prayers, but thoughts & prayers are not our problems. Failing to act is the problem, both in the wake of tragedy and proactively to avert a crisis. I feel the weight of my own critique here. I am a reader and a thinker and can be accused of living too much in my mind sometimes. Yet, thoughtless actions wreak havoc on the world and prayer-less lives have no Divine spark. Think, pray and act, so that your life may become a song. The Reformers railed and raged against abuses they found in the One Holy, Catholic, and Apostolic Church. They also were each devout men of God who prayed, believing how you approached God mattered. It is now 500 years since Martin Luther nailed his Theses to the Wittenberg door. Thomas McPherson and Paraclete Press have come out with a booklet on the Prayers of the Reformers, with one hundred prayers, from twelve reformers, spanning three centuries. McPherson is committed to preserving the prayers of ancient saints(he worked on another volume for Paraclete, Essential Celtic Prayers, perhaps more to follow).The focus here is specifically on the magisterial Protestant Reformers (and proto-reformers), so no Carmelites, Jesuits, Jansenists or Anabaptists. The twelve pray-ers are John Wycliffe, John Huss, Ulrich Zwingli, William Tyndale, Martin Luther, Martin Bucer, Thomas Cranmer, Philip Melanchthon, John Calvin, John Knox, Theodore Beza and Lancelot Andrews. McPherson’s introduction highlights how these prayers declare confidence in God’s supreme authority, their dependence on Him for everything, our need for illumination through the Spirit and the Word, their ongoing trust in God, and the telos of God’s glory (7-10). This is followed by brief paragraph-long biographies of each of these reformers, The prayers follow chronologically by each reformer (contemporary authors, presented chronologically by the year of death—the order of the list above): a hundred prayers in just over a hundred pages (pp 17-123). A book like this is selective and not exhaustive. You could fill up volumes of prayers from either Luther and Calvin alone (they wrote almost half of the prayers in this book), or you could crib Thomas Cranmer’s entire Book of Common Prayer and call it a day. Still, these prayers are well chosen, capturing the essence of protestant spirituality. Often McPherson includes a scripture reference ahead of each prayer, revealing what portion of scripture the prayer was reflecting upon. There are several prayers afre various, several about on the Lord’s Prayer (notably Tyndale), devotional prayers, prayers of discipleship, prayers to prayer when facing persecution and various difficulties, prayers for morning and evening, etc. I was surprised on how much I appreciated Zwingli’s prayers (three in volume, 22-27) and Beza’s supplication on bearing the cross (113). My God, my Father and my Savior, you have been pleased to preserve me by your grace through the night and you have brought me to this new day. Grant that I may use it entirely in your service, that I may think, say, and do nothing but to please you and to obey your holy will. May all my actions be to the glory of your name and to the service of others. And just as you cause the sun to shine on the world to give physical light, let your Holy Spirit illumine my mind to guide me in the way of righteousness. In everything I do, let my goal and intentionalways be to walk reverently and to honor and serve you., relying only on your blessing for my well being, and undertaking only what is pleasing to you. -JohnCalvin (84-85, A prayer for a new day). There are other powerful prayers here. However, despite the quality selection and the book’s brevity, this is not a user-friendly volume, or at least not as user-friendly as it could be. There is no table of contents or index. That means that if you are looking for a particular prayer, scriptural theme, or topic, you have to flip through the book to find it. In an e-book format, this is not a big deal and certainly, the industrious reader can make their own index of meaningful prayers, but a scriptural or thematic index (or just a list!) would be helpful. I also wish that there were notes (footnotes or endnotes) which provided the sources of these prayers (i.e. what of the reformers’ works they come from). I don’t think these notes need to be obtrusive, but when I read a moving prayer or quotation in a collected volume, I like to track it back to the source, which is difficult here. These qualms aside, I think this makes a beautiful gift book, perfect for devotional reading and a great way to celebrate 500 years of ecclesia semper reformanda. I give this book three-and-a-half stars. and countertops covered with dishes—my sink overflows. You know who I am, not what I pretend. a cluttered heart, a spirit stifled by stuff. all I love and I long to be. Create in me a clean heart, renew a right spirit in me. I may welcome You in without shame. One of my earliest memories is of bedtime-prayers. My parents would tuck me in each night and pray that God would’ send his angels to look after me.’ Now I am a father with little ones of my own. I often pray these same words decades ago. As a parent invested in teaching my children Christian truth, I am always on the look out for resources forhanding down the faith. This is what Donna-Marie Cooper O’Boyle does for the topic of angels. 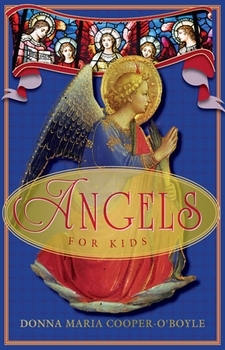 Angels for Kids is a short, easy read which explains the world of angels at a level that children could grasp (I would say ages seven to nine). O’Boyle draws on the wisdom of the Bible, the Catechism of the Catholic Church, the writings of pope John Paul II and other writers on Christian spirituality, ancient and modern. O’Boyle covers a number of questions that kids would have about angels. She talks about the different kinds of angels in the ‘angelic hierarchy,’ angel stories from the Old and New Testament. what angels look like, fallen angels, the archangels, the work angels do and their friendship with us. She also shares prayers for angelic protection or prayers directed to angels. I am an Evangelical protestant who reads widely across the spectrum of Christian traditions. Probably the point where I am most at theological loggerheads with the Catholic tradition, is in the area of ‘prayers offered to saints and angels.’ However when Catholics offer prayers to Mary, the Archangels or various saints, they are not worshiping them; they are asking for their intercession before the Father. You might say that rather than praying ‘to’ angels, the Catholics (and Orthodox Christians), pray ‘through’ them. I still find myself at odds with the practice (Christ is our intercessor). Angels are messengers of God. They signal to us that the world is more complicated and wonderful than our material senses allow. Introducing children to what angels are and what they do is worthwhile. I recommend Angels For Kids to Christian parents (especially Catholics) who want their kids to enlarge their vision of the supernatural world. Protestants like me, will also find words to talk to their own children about angels. Angels aren’t fairies. They are real and the God they serve is real. I give this book four stars. We worship and we wonder. . .
deem to pour His mercy on us. We know we do not deserve such love. much difference in our lives. far too little for us. and wonders of wonders it is enough.